Los Angeles Retaliation Lawsuit | FEHA | Employment LawyersIt is against the law for California employers to discriminate against an employee who engages in protected activity under the Fair Employment and Housing Act (“FEHA.”) If you engage in protected activity, and feel your employer has made decisions that affect your employment because of that activity, please immediately contact our FEHA relation lawyers in Los Angeles: The Nourmand Law Firm. We are experienced, seasoned and highly-skilled employment attorneys. We have a track record of success and excellence in representing our clients.What is a protected activity? Moreover, an employer cannot retaliate against an employee who challenged behavior (by the employer) which the employee has a reasonable and good faith belief to be illegal. A California employer, therefore, cannot terminate or otherwise retaliate against an employee who reports the misconduct or misdeeds on the basis of this good faith belief. Emily Employee works for Bill Boss. Emily works as an auditor in the accounting department of Boss, Inc. Emily has personally witnessed Bill and management employees engage in tax fraud. Emily is afraid some of the blame could ultimately be cast on her. She takes proactive steps and notifies the IRS. Bill discovers an e-mail from Emily to the IRS. He becomes incensed. He quickly terminates her. Can Emily sue for retaliation? Yes, Emily is engaged in the protected activity of revealing her employer’s criminal activity to law enforcement. Bill Boss can be civilly liable for taking an adverse employment action against her, i.e., terminating her. What is an Unlawful Employment Practice? Discrimination in compensation or terms, conditions, or privileges of employment. What must you prove to succeed on a claim for retaliation? At The Nourmand Law Firm, our employment retaliation plaintiff’s lawyers are experienced, seasoned and highly-skilled employment attorneys. We have a track record of success and excellence in representing our clients. Our clients are generally employees who suffered a wide range of abuses: wrongful termination, discrimination, demotion, denial of compensation (including the minimum wage, overtime, compensation for meal periods and rest periods) and other actions that violate the California Labor Code. Employers often violate other laws, however, including the Americans with Disability Act (ADA) or the California Fair Employment and Housing Act (FEHA), which makes them liable under these statutes. We are experienced and knowledgeable in prosecuting retaliation claims on behalf of our clients. If you believe you experienced workplace retaliation, contact our experienced Los Angeles employment lawyers today. 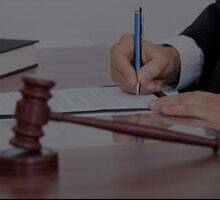 We represent clients who have been retaliated against by their employers in Los Angeles, Koreatown, Pasadena, San Bernardino, San Fernando Valley, San Gabriel Valley, the South Bay and throughout Southern California.